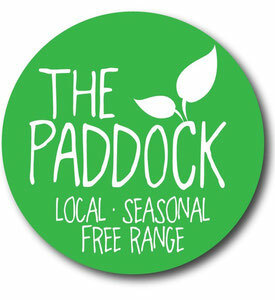 The Studio has now opened at The Paddock Farm Shop exhibiting local artists, woodwork and crafts. The Studio is a community run space designed not for profit but to bring together local people and local businesses. We have worked very hard to create a welcoming, friendly space where we can focus on our local community and the things that make us feel good! After all, our personal wellness, whether that be achieved via art, music or exercise is equally as important as the way in which we nourish our bodies and look after the planet. We are busy planning a programme of workshops and courses for 2019, with a focus on making, mending, thrift, greener living and wellness! Keep checking our Workshops Page for the full programme of events available. If you are a local artist, craft person or run events based around wellness and are looking for a space to rent for sessions or workshops, please get in touch! The Studio is available to rent on an hourly, daily or weekly basis. Email laura@thepaddock.org.uk or call Laura on 07462909238 for more info or to view the space or head over to our Booking Page to make a booking. The Studio is open Wednesday and Thursday 10am-5pm and Friday 11am-4.30 pm, alongside the Farm Shop for you to browse a fantastic selection of local art, woodwork and crafts. The Studio can be booked outside of these times for private sessions. Currently exhibiting hand drawn tote bags, t-shirts, hand painted neck scarves, abstract art and framed sketches from Dipwood Studio (Rowlands Gill) handmade wooden gifts from Barry Page Timber Design (Allenheads), landscape photography cards and art from Jill Fay (High Spen), handwoven textile art from The Northern Loom (North Shields), art and crafts from Piffy and Egg (Tynemouth) and more!